If Valentine's Day is your first date with a guy or if your significant other does not like it when you wear too much makeup, then this is the look for you. When a guy says he doesn't like for a woman to wear makeup he doesn't mean for you to be completely barefaced. What it means is he doesn't want you in heavy-looking makeup and bright colors. Men like this, prefer a more natural look. One where makeup simply enhances your features, not change them. This look pictured took me less than five minutes. Use a lightweight foundation or a tinted cream as your base. 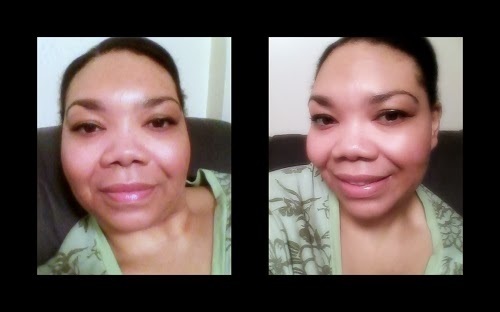 For this look, I used Julep DD Crème in Medium. Apply concealer where needed. Eyes are simple. You can let your lids go bare or choose a light, neutral tone. For fairer tones, a beige or light brownish pink shadow works well. I used SEPHORA COLLECTION Colorful Duo Eyeshadow 10 Golden Pink. I layered the colors using the gold shade first then the pink. I used e.l.f liquid eyeliner to create a winged liner look. I applied one coat of Avon SuperExtend Mascara - Black. 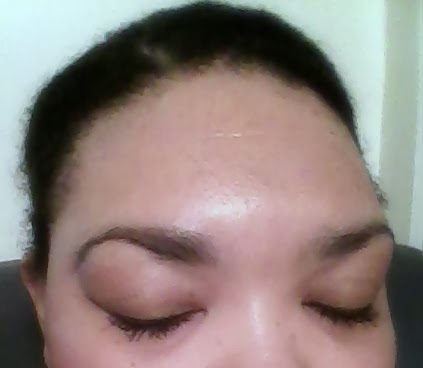 Then I lightly filled in my brows and smudged it to create a softer brow. Choose a blush color that matches or closely matches your natural flush. The kind you get from a light exercise. For me that is a pinkish-orange glow. I used a salmon pink and light coral blush. Your lip color should be just a tad more colorful than your natural lips are. The effect should be a hint of color that is slightly noticeable. I used Avon's Extra Lasting Lip Gloss in Constant Coral. I blotted my lips to lessen the color and shine. This process should take about five minutes. You are wearing makeup that simply enhances how you naturally look instead of covering it up. Your valentine will approve.